Validate grinding processes via sample grinding and qualification runs at the DCM factory or at the customer’s site. Provides sample grind and tutorial videos to ensure training, setup, and installation go smoothly. Factory Direct sales and service as well as onsite setup and training of new and used equipment via DCM’s own Technical Specialists. 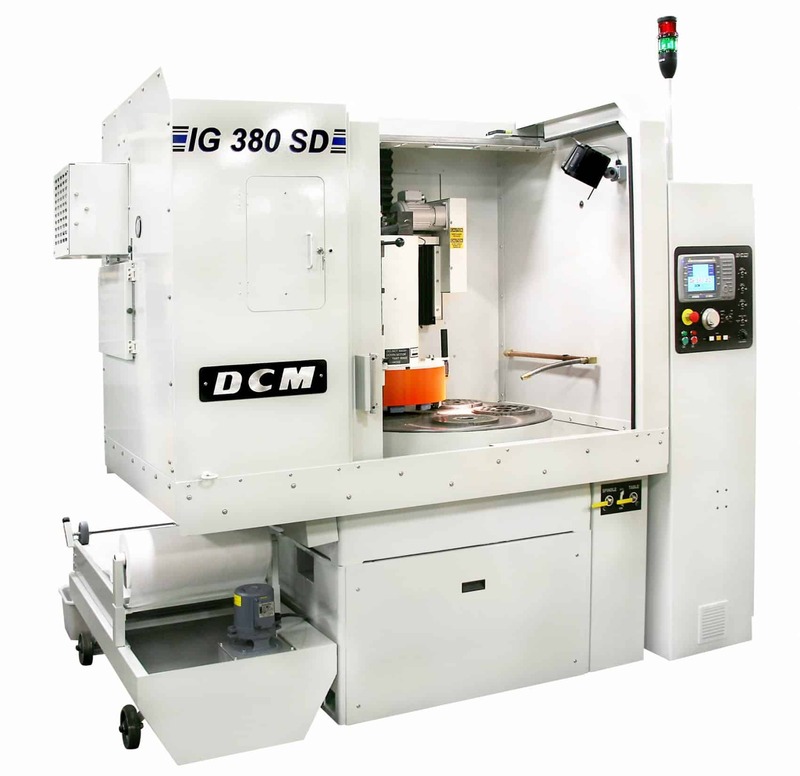 The IG 380SD provides the greatest capacity of all of the DCM grinders, it features a 36” diameter electromagnetic chuck with configuration features of through table vacuum, air or hydraulic clamping. The variable speed 30 HP grinding spindle provides exceptional grinding performance for both conventional and superabrasives. The IG 380SD is configured with a sliding door enclosure, air/mist filtration and swarf system with continuous filtering of the coolant. Clean coolant results in repeatable grinding performance. 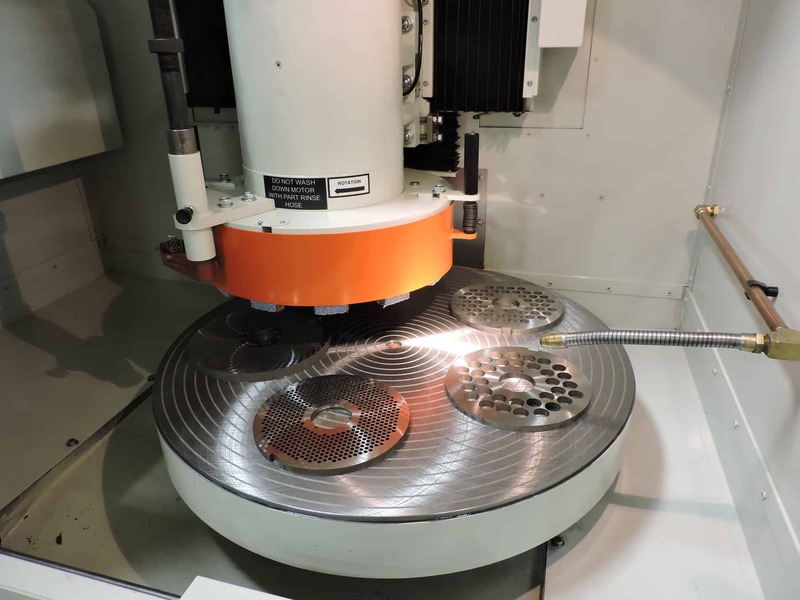 The automated grinding control simplifies machine operation and ensures consistent grinding results. 36″ Electromagnetic Chuck w/Variable Force Control and electronic sensed demag.